Undertones of deception and betrayal pervade in the new one-sheet art and two TV spots that Paramount Pictures has just launched in support of Allied, the World War II romantic thriller from Oscar-winning director, Robert Zemeckis (Forrest Gump, Cast Away). Written by Steven Knight (Eastern Promises, Locke), the film stars Brad Pitt, Marion Cotillard, Lizzy Kaplan and Matthew Goode. 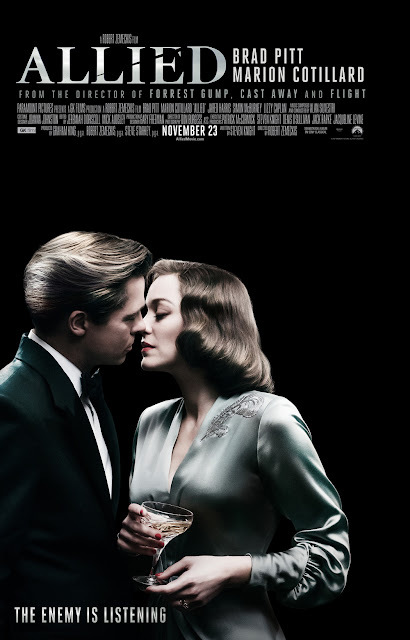 Opening across the Philippines on Nov. 23rd, Allied is distributed by United International Pictures through Columbia Pictures.